Most are saying farewell to the Nexus brand however I’m not committed to that mindset, as with Indiana Jones and Red Dwarf, never say never. The Pixel phone is the new phone on the block. A pair of super high-end offerings with price tags at one particular end of the spectrum. There was a lot of speculation and excitement right up until the announcement itself and then the controversy started. On the one hand, there was nothing along the lines of the recent Apple controversy. 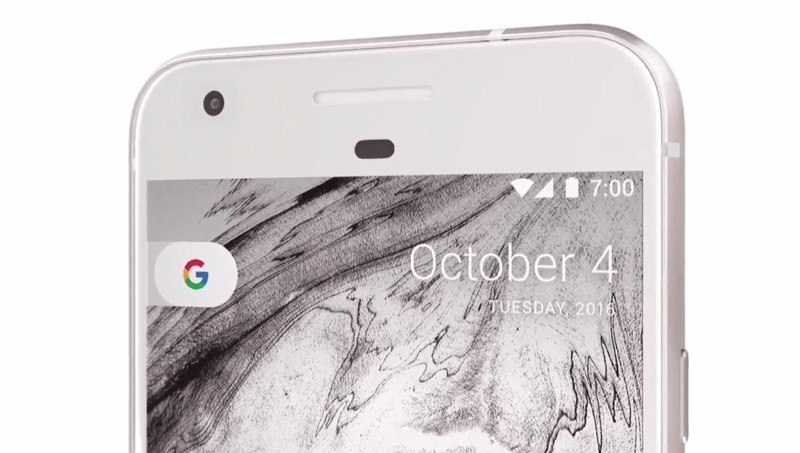 Google are not reinventing the wheel with the Pixel, it’s just another phone line with specs you would expect from any other high-end phone. There is a distinctive look that some, including myself, are not 100% on. There is a camera with some bold statements and, given the demonstration material, impressive results. However, many of the features of the Pixel’s announcement were down to the apps themselves, Google Assistant, Duo and Drive. Under the polished glass, the Pixel has a 5-inch, 1080p AMOLED display, not a Quad HD. Unlike the Pixel XL’s larger 5.5-inch AMOLED Quad HD display. A quad-core Snapdragon 821 chipsets (2x 2.15Ghz / 2x 1.6 GHz,) the first of its type in the US and the UK. Backed by 4GB of LPDDR4 RAM keeps things lightening fast. The Pixel has a 2,770mAh whilst the Pixel XL’s sits at 3,450mAh. On the back is a little imprint fingerprint sensor, nothing particularly special by today’s standards. However, above this is the 12.3MP, f/2.0, phase detection autofocus sensor with a 1.55µm pixel size, at the same number of pixels, bigger pixels in a camera sensor means more area for light to strike the sensor, larger pixel sensors meaning you will have more accurate color and luminance in each pixel. Helping Google outline this are independent researchers at DxOMark judging this as the best you’ll find in a smartphone. The front sees a 8 MP, f/2.0, 1/3.2″ sensor size, 1.4 µm pixel size. There is a 3.5mm headphone jack and every “ahem” and wink Google peppered into the presentation was accompanied by a little groan from myself. Three colours are to be made available and the naming system is quite cute. Quite Black, Really Blue and Very Silver. Much of the Pixels launch was taken up by the Google Assistant demonstration. This can’t be considered a backbone of the Pixel as most Android users will be able to take advantage of the service once rocking Nougat. Assistant is a complex app, integrated with most of Google’s services to provide you with itineraries, news, search results and suggestions through a casual conversation. Assistant keeps track of your searches and preferences to cater better results as you use it. The pricing is the same as the iPhone, a 32GB Pixel is £599 and a 128GB is £699. Whereas the Pixel XL is £719 for the 32GB, and £819 for the 128GB.